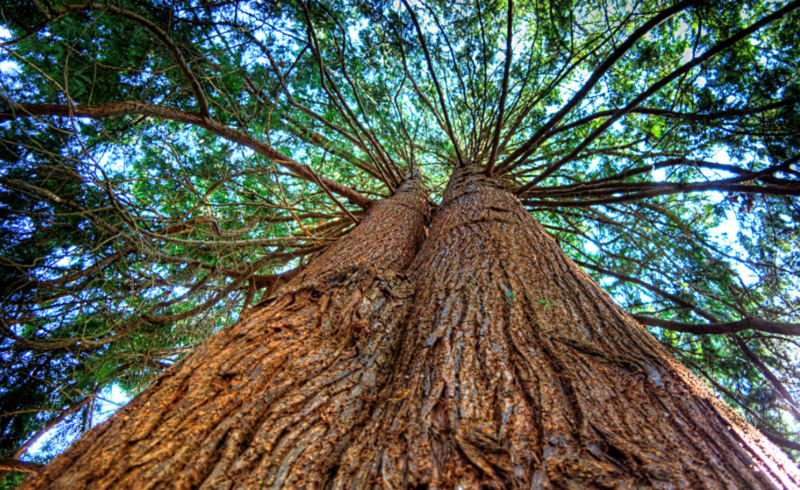 What is Cedarwood Essential Oil and How is it Made? Like so many of the essential oils we know and use today, Cedarwood oil has been around for thousands of years and has formed an integral part of a variety of different rituals and healing practices throughout history. It was first popularized by the ancient Egyptians who used it in combination with papaya leaves as a means of keeping mosquitoes away but also formed an important part of the mummification process when burying Kings or royalty. 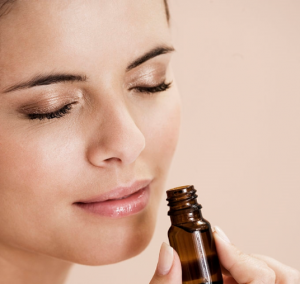 Over the course history, the use of this essential oil has changed from culture to culture, yet it has always remained an integral part of different religions and spiritual practices in both Western and Eastern schools of thought. Cedarwood oil is widely mentioned in the Bible and this seems to be one of the main sources where people find out about it for the first time. Due to the understanding we have now about the immense healing and purifying properties that this oil comes with, it’s a lot easier to see why ancient priests used it during prayer ceremonies, healing rituals and as a general form of medicine. In fact, cedarwood oil is so potent and rich in natural phytochemicals that it was even used to help treat leprosy at a time. Since then, our understanding of medicine and the natural elements that we use for medicinal purposes has changed greatly and the tradition of using certain natural ingredients in their raw form has largely passed out of modern society. However, a general movement or trend towards leading a natural and grounded lifestyle has emerged in recent times due to the fact that more and more people are becoming disillusioned by many of the medicines in use today. I’m quite sure we’ve all needed a pick-me-up or an immune booster at some point in our lives, especially when dealing with an infection or illness, and many have relied on the pharmaceutical options that are available to us at any chemist or even in your supermarket to get us through these periods of illness. However, in truth, many of these chemical concoctions are very harmful to your health in general and can lead to serious side-effects which only worsen the quality of your health in the long run. So instead of relying on the mass-made pharmaceutical solutions, why not try approaching your illness from a more holistic point of view – and cedarwood essential oil is a potent natural solution for increasing overall health and wellness, whilst being totally free of most of side-effects and not to mention highly cost-effective, this essential oil is bound to change the way you approach health care in general. If you’re interested in finding out more about this amazing natural product, then I’d recommend you keep reading as knowing how to use natural products correctly is key to their success. Cedarwood trees are native to both North America and the northern parts of the Middle East and have formed an integral part of many different cultures and religions that have developed in these areas over the course of history. The reason for the trees revered nature in certain spiritual practices, religious ceremonies and cultural traditions is largely because of the high amount of natural phytochemicals that are contained in the bark, wood and leaves of this tree. In fact, the oil has been said to be highly effective in treating wounds on the skin, purifying the blood, repelling insects, preventing bacterial and fungal infections and for use in a variety of different aromatherapeutic techniques that help to relieve stress, pain and general tension – which are almost always linked to most forms of disease or health ailments. Like most essential oils, cedarwood essential oil is usually made through a process of either steam or hydrodistillation which are some of the oldest and most effective means of creating essential oils. In order to create cedarwood essential oil, woodchips and sawdust from the cedarwood trees are introduced to a chamber that is filled with either water (hydrodistillation) or slowly filled with steam (steam distillation). In the case of steam distillation, the steam breaks down small sacs that are contained within the organic matter. As the sacs break, they release the essential oils of the organic matter (in this case, cedarwood oil) and after that, the steam is carried into a separate cooling chamber where it condenses and forms a liquid again – otherwise known as essential oil. In hydrodistillation, the organic matter is left in a vat which is filled with boiling water. The boiling water works to extract the essential oil and the steam that is produced as a result helps to carry the water up into a separate cooling chamber where it condenses and forms essential oil. However, a lot of the essential oil and chemical components of the organic matter remain in the water and this is used as a separate product known as hydrosol – a distilled version of essential oils. Some of the chemical components that can be found in cedarwood essential oil include y-eudesmol, cedrol, cedrenol, widdrol, and sesquiterpenes such as beta-caryophyllene, thujopsene, beta-elemene, cuparene and alpha-acaradiene. If you’re in you’re going through middle age, or simply have thin hair in nature then you’re quite likely to be losing hair – in some cases this happens faster than others, but it’s not an uncommon issue amongst both men and women. When you consider the fact that a normal person (with regular hair) loses an average of 50-100 hairs a day, it’s not highly unlikely that you’re bound to suffer from noticeable hair loss in times of stress, if you have a bad diet or simply due to aging and hair type. One of the most common causes for hair loss in men is male pattern baldness, which is a condition that is common to men either entering or currently in their middle-age, or to those who have a genetic predisposition towards the ailment. It is generally caused by the buildup of excess testosterone just underneath the surface of the scalp. Over time, the testosterone is converted into a chemical known as 5 alpha-reductase. This chemical blocks the pores of your scalp, starving your hair of important nutrients and chemicals that they need to grow and stay healthy. The high amount of sesquiterpenes contained in the essential oil of the Cedarwood extract helps to suppress the formation and ultimately reduce the buildup of the 5 alpha-reductase, thus stimulating hair growth and allowing for healthier hair in general. 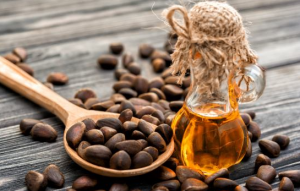 The oil also helps to moisturize your scalp, which means that it can reduce the effects of inflammation that cause conditions like dandruff as well as giving your hair more natural volume. For maximum effect I recommend heating 6-8 drops of the oil in 3-4 drops of carrier oils such as clary sage and rosemary (or both!) and then allowing it to cool (so that it’s warm, but not hot). Rub the oil mixture into your scalp and wrap your head with a towel or plastic sandwich wrap and allow the oil to sit for 30 minutes to an hour. Then simply rinse the oil from your hair and condition as per normal. Do this twice a week and you’ll start noticing the effects after just one or two weeks. One of the most common causes for general stress and anxiety, besides the increased pace and demands from an ever-expanding, work-ethic society is actually lack of sleep. Recent studies from the CDC have shown that more and more people are not getting enough sleep on a regular basis – roughly 35% of America to be precise. Beyond the obvious impacts that lack of sleep has on your mind and body (feelings of stress, confusion, lack of motivation, depression etc. ), continued sleep loss can wreak havoc on your body’s immune system and leave you vulnerable to disease and infection which can really ruin your lifestyle, as well as causing hormone imbalances that may have long term effects on your body and mind. So ensuring that you get at least 8 hours of sleep on a regular basis (ideally every night) is imperative for leading a healthy lifestyle. A lot of people tend to turn to chemically synthesized tranquilizers which are highly effective (often too effective) but tend to come with a long list of highly hazardous side-effects that can pose a serious threat to your health in general not to mention that they’re highly addictive. Cedarwood is a popular sedative and has been used by aromatherapists for many years to help treat patients who suffer from insomnia. It’s also a fantastic alternative to the very real dangers that can be caused by pharmaceutical sedatives and can be used to wean people off them (as they often lead to serious addictions). The natural chemical compounds of Cedarwood essential oil will stimulate the release of seratonin in your brain, which is then converted to melatonin – a chemical that is responsible for causing fatigue and a sense of calm throughout our bodies and can be used to help you get better sleep. There are a variety of ways in which the oil can be used to treat insomnia such as rubbing the oil on your neck and chest, dabbing drops of the oil onto your pillow, simply inhaling the oil from the container or (the most effective in my opinion), by adding 8-10 drops of the oil to a bowl of boiled water and covering the bowl with a towel. Place your head under the towel and close your eyes, breathe in the steam for about 5 – 10 minutes. You should feel a lot calmer after doing this, but if you feel like you need a bit more, you can repeat the process or follow through with some of the other methods after the steam treatment. Either way, this is a much better alternative to developing a serious sedative addiction, so I’d highly recommend it for anyone suffering from sleep loss. 2 teaspoons of Cedarwood essential oil. 10 tablespoons of distilled water. 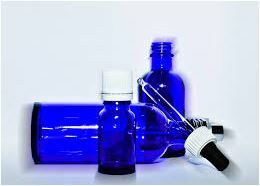 10 drops of Lemongrass, Lemon, Orange, Tea Tree or Eucalyptus oil. Making the mixture is as easy as simply pouring the water into the spray bottle, then adding the essential oils and shaking well. However, simply making the mixture is only the first step of the process. The next, and most important step in getting rid of the infestation is to find the source of the fleas. This means spraying and vacuuming your carpets a few times, scanning through your yard to see if you can find the source of the fleas and checking your clothing as well. You you feel you’ve adequately scanned your home for their nest (and ideally eradicated it with the spray and various cleaning techniques), you’re ready to start treating your pet. First, you must comb the dog’s hair (against the grain) in order to reveal the skin. Do this in the bath as you don’t want the fleas to jump into your carpet again. Keep spraying the mist onto your pet’s hair and skin and brush repeatedly with a fine comb brush, to help capture the fleas. You can also apply some of the oil to your hands and gently rub it behind your dog’s ears and on their face – just make sure you avoid their eyes! Repeat this a few times until the worst of the infection seems to be relieved. I would also recommend repeating this process at least two to three times a week until the infection has been removed completely. 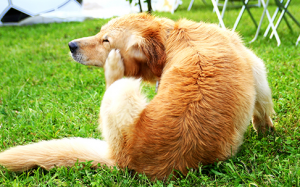 As a final guideline, it could be worthwhile to keep your animal inside, or in a safe environment outdoors over the course of the treatment as taking your dog for a walk could mean picking up the fleas again. Although not a widely popular use for the oil, Cedarwood oil is particularly effective in the process of oil immersion. This relates to the use of microscopes for scientific study and research and the oil can be applied to both the specimen and the lens to help increase the natural refractive qualities of the lens and the specimen to make studying the specimen a lot easier, as it will reflect more light, thus producing a clear image under the microscope. Handy information if you ever find yourself out of microscope fluid and need a quick fix or for those weekend scientists at home! Cedarwood essential oil has a lightly sweet yet earthy and woody odor that has fixative properties – which means it can be used to increase the length of time that a smell lingers which makes it ideal for mixing into blends for perfume or as an ideal incense. For blending, I would recommend using Ylang Ylang, Rosemary, Clary Sage, Bergamot, Orange and Patchouli. It’s a very distinctive scent – cedarwood that is, and I think smelling it for yourself is the best way to get an idea of how you could utilize this wonderful natural product. Ultimately, Cedarwood essential oil is a highly potent natural product that can be used in a variety of different ways to treat an even wider variety of different health ailments – far beyond what a conventional medical treatment can offer. On top of offering a wide spread of treatment capabilities, the oil is particularly great at boosting your body’s overall immunity to infection and disease and can be highly effect at helping you relax and unwind. Anyone interested in leading a homeopathic lifestyle or practicing aromatherapy shouldn’t be caught without a vial of cedarwood essential oil – it’s essential.